The discovery of the adipostatic hormone leptin has transformed our understanding of the neurobiology of appetite control and has helped to establish the biological basis of obesity. In recent years there has been a wealth of publications relating to the physiology of this peptide. 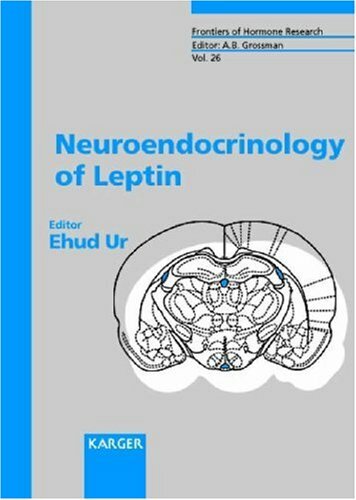 This volume sets out to draw together key features of the central effects of leptin. Contributions from leading authorities in the field include reviews of leptin's actions on hypothalamic peptides, the role of leptin in fasting, its effects on reproductive function, and evidence supporting endogenous brain production of the peptide. Endocrinologists, diabetologists, obesity specialists and Neurobiologists will be interested in this succint and timely review of the effects of the adipostatic hormone leptin on neuroendocrine function. If you have any questions about this product by S. Karger, contact us by completing and submitting the form below. If you are looking for a specif part number, please include it with your message.